When Jessy Rosales was a sophomore at UC Riverside, she had a boyfriend and she was taking birth control pills. Still, she got pregnant. Rosales was clear that she was not ready to have a baby. She wanted a medication abortion, where she’d take one pill at the clinic and a second one at home a day or two later to induce a miscarriage. Public university health centers in California do not perform abortions, but lawmakers will soon begin debate on a bill — SB 24 — that would require health centers at all 34 University of California and California State University campuses to provide medication abortions. It's the second attempt at this bill, after then-Gov. Jerry Brown vetoed a previous version last fall. The bill’s authors say they’re trying again because they want to remove the obstacles women face accessing medication abortion off campus. For example, Rosales was given three off-campus referrals for abortion providers by her student health center, but the first clinic she called didn’t do abortions after all, and the second didn’t take her insurance. By the time she could get an appointment at a third clinic, she was already into the second trimester of pregnancy — too late for a medication abortion, which can be done only up to 10 weeks. Rosales ended up having a surgical procedure. 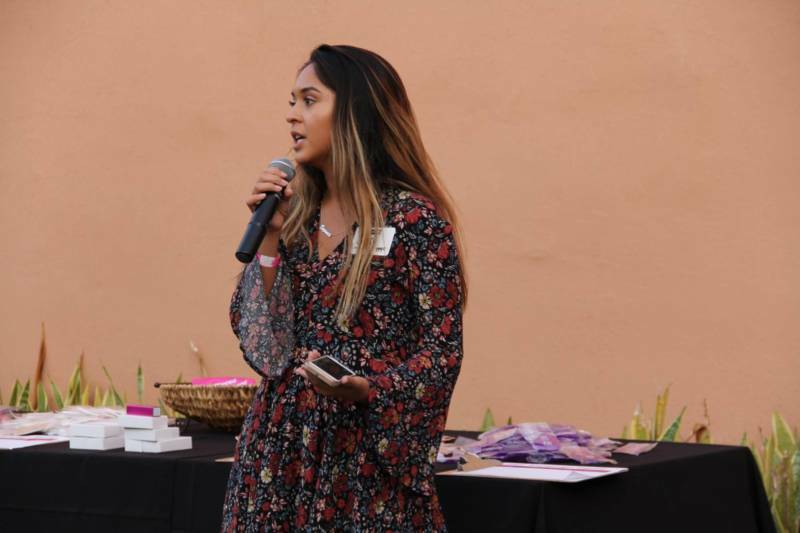 Rosales graduated last year and is now advocating for the bill, working as a reproductive justice activist with the Women’s Foundation of California. That group, along with a few other private donors, have agreed to pay for all the upfront equipment and training costs, namely, ultrasound equipment to determine how many weeks pregnant a woman is, and training on how to use the equipment and determine when it's safe and effective to prescribe the pills. But it's unclear if universities would eventually need to dip into tax dollars or student fees for ongoing costs. Critics say that’s not fair to students who oppose abortion. University officials testified during legislative hearings last year that not all CSU campuses and none of the UC campuses are able to bill and get reimbursed for services through state health programs, like Medi-Cal. It could be too much of an administrative or fiscal burden to establish billing systems needed to do so, they added, meaning some clinical costs, as well as security or liability costs, could fall to them. Up to 519 women at public universities seek a medication abortion every month in California, according to estimates from a study published in the Journal of Adolescent Health last summer. The same research found that off-campus abortion providers were an average 6 miles away from public university campuses. That’s an easy Uber ride away, said abortion opponent Anna Bakh. “We’re questioning our legislators as to why their solution was to bring abortion onto campus, rather than providing transportation,” she said. Last year, the earlier version of the bill — SB 320 — was approved by the Legislature, but Brown vetoed it, citing the study on average distances students had to travel for abortions. “Because the services required by this bill are widely available off-campus, this bill is not necessary,” he wrote in his veto message. This was about a month before the election, and then-candidate for governor, Gavin Newsom, said he would have supported the bill. Now that Newsom is in the governor’s office, he did not comment on the current bill.